Fingle 191/743899 - 08.40 to 14.40 - Park on the left before the bridge (don't cross bridge). Simms 191/785757 - 11.00 to 17.00 - Parking is not easy, don't park in the village best to park some distance away and walk. 14 December - Click here for the ACTC Championship Results on the ACTC Site. The winners were Wheelspin - Roger Bricknell and Dave Haizelden, both of whom finished with 61 points and I'm not sure who is the winner! Crackington - Giles Greenslade. Well done to all, especially to Dave Haizelden for his achievement in a in a Front Wheel Drive Car. 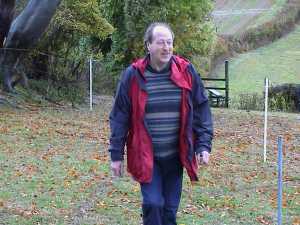 6 December 2003 - Click here to read The Allen Trial Report. 1 December 2003 - Paul Bartleman won The Allen Trial. Click here for the results from The ACTC Site and Click here for some Video action. 29th November 2003 - It's BBC Sports Personality of the Year Time. Classical Gas is throwing its weight behind Bentley Boy Guy Smith. Click Here to Vote for Guy Smith. Click here to learn more about Guy and why you should vote for him. 29th November 2003 - Click here to go to ACTC News for the Hardy Trial results. Dave Mason was best bike and Paul Bartleman best car. I hear it was pretty rough though with Hell Lane causing a lot of damage before it was cancelled. 24th November 2003 - Pete Hart has had to move the start of The Allen Trial to - The Cross House Inn , Doynton MR 172/719741 Click here for more information. 23rd November 2003 - Rough Guide Updated; December Issue of Classical Gas on PDF added (568K) to the PDF Library. and Michael's December Musings added. 20th November 2003 - Report added to the Guy Fawkes Trial page. 16th November 2003 - Adrian Marfell won Stroud's Mechanic's Trial, in a Beetle. Click here to read Michaels Leete's report on his trial. 2nd November - Photo Gallery of Falcons Guy Fawkes Trial added. (It's a PCT these days but Strouds's Mechanic's Trial next week is in Classic Guy Fawkes territory). 2nd November 2003 - Michaels November Musings added. Also a quick note to correct my intro to the Exe Valley results. It was in fact Roger Bricknell who finished second to Nick Farmer with Doug Hagerman all the way from the USA in the hot seat. 25th October 2003 - November Issue of Classical Gas on PDF (500K) added. Click here to open in a new window. (or Right Click to save to your computer. Alternatively check out the Classical Gas PDF library. 19th October 2003 - Details of The Allen Trial on 30th November and Falcons Guy Fawkes PCT on 2nd November added to The Rough Guide. Marlin enthusiasts should check out the up-dates to Andrew Brown's Sections Begins site. 18th October 2003 - Gill Morrell Trial Report added together with an extensive photo album. 18th October 2003 - Edinburgh Report finished, October Musings added. 15th October - Gill Morrell Trial - Dave Smith Best performance on Index, Ian Davis Best Clubsport, Mike Pearson Best Falcon. Click here for full results. 13th October - Regs for Falcons Guy Fawkes PCT at Kensworth on 2nd November added. No time to put details on rough guide. It's a smooth grassy venue. Click here for regs in PDF in a new window. 11th October 2003 - More work done on The Edinburgh Trial report. 8th October 2003 - Report on The Edinburgh Trial started. 26th September 2003 - Nick Farmer won the Exe Valley Trial with a clean sheet, beating Dave Haizelden on special test times. There were quite a few cleans sheets which was inevitable with the weather being so dry. Click here for the results on PDF over on the ACTC Site where you can also find the results of the MGCC Autumn Trial. 15th September 2003 - September edition of Classical Gas on PDF published. 12th September 2003 - Classic Trials are coming thick and fast now. The Exmoor Clouds takes place on 19thOctober and details have been added to The Rough Guide. 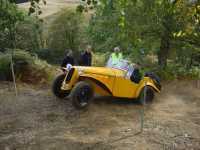 10th September - Regs and Entry Form for Falcon's Gill Morrell Trial at Brickhill on 12th October added. 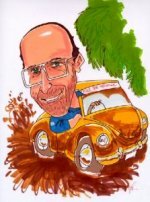 7th September 2003 - I have learned from the Herts VW Club that there is a new VW magazine on the bookshelves from 1st September called Ultra VW. 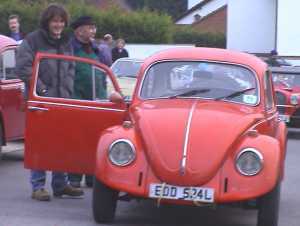 It is fronted by Keith Seume who was with Volksworld. Find out more at the Ultra VW Web Site. 31st August 2003 - Former Falcon President and Rally driver Peter Harper has died. Peter Harper was a war time pilot who started his Motor Sport career in the late 40's. 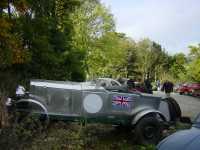 He became a works driver in the Rootes Rally Team and had many successes including winning the RAC Rally in 1958. Later he became a TV star in Rallycross driving the Frazer Imp. The consummate professional the car was actually washed between runs! In his business life Peter Harper was a Hertfordshire garage proprietor. Sadly he had started to loose his sight in recent years. 31 August 2003 - Sometimes the snail mail version of Classical Gas that I do for the Falcon magazine and this Web version get a little out of synch. 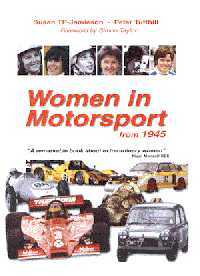 But finally, one year after I wrote it, I am publishing the Keith Pettit - Car's I have owned piece. I hope you like it although it is still under construction. 25 August - Rough Guide updated with details of the Tamar Trial on 26th October. 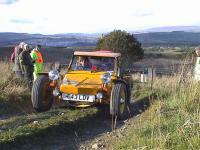 Rough Guide updated with information on the Exe Valley Trial which takes place on 21st September. 3 August 2003 - Michael's August Musings added. ACTC Site has been Updated with regs for the MGCC PCT at Burton Dassett on 21st Sept.
29th July - Keith Pettit set FTD at Falcon's July Joust Autotest. Click here for the full report. Murray's VW/Audi Store will be discontinuing air-cooled parts. Get in while there's still some left! 26 July - Pictures of last nights FNSS Mountain Bike Race at Milton Keynes Bowl added. More stuff over on Jack's Site. 21 July - Added a piece on some rule changes of interest to triallers. 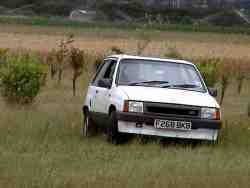 Regs for Falcons July Joust Grass Autotest on Sunday 27 July at Upper Caldecote near Biggleswade added. 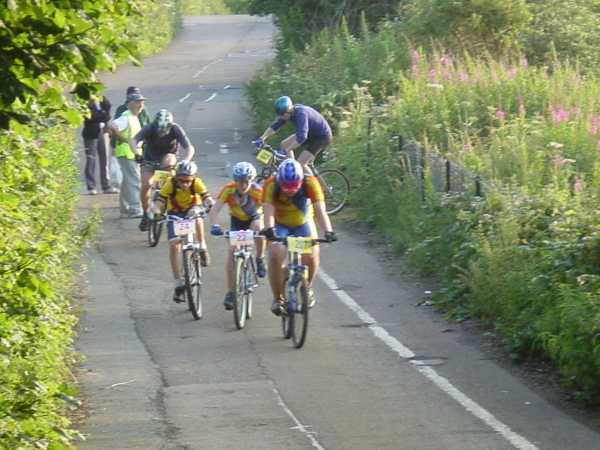 6th July - A few pictures taken at the Cats MBC Club FNSS Series race by Richard. I took part but the final hill really killed me and I gave up after the first lap! 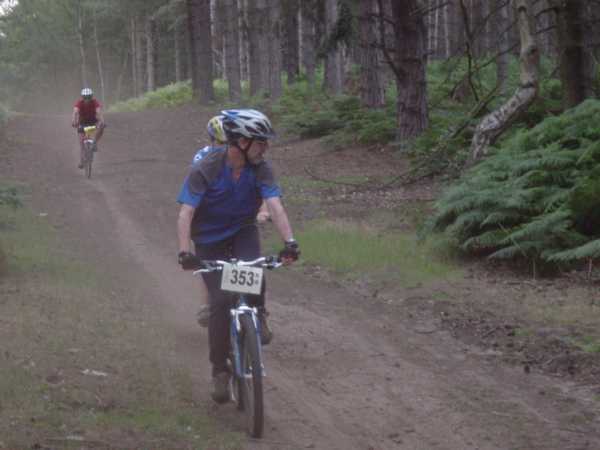 I plan to have another go at the Beds Fat Trax Race at Rowney Warren, Chicksands on Friday 11th July at 7.30 pm. 4 July 2003 - Michael's July Musings added. If you want a nice evening out take your "pride and joy" to Classics on the Common at Harpenden on the evening of Wednesday 9th July. No booking, no cost, no prizes, just turn up and relax amongst some interesting motors. 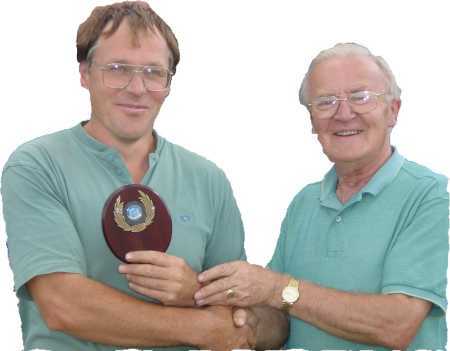 22 June 2003 - Neil Bray wins Falcon's Mid Summer Madness Autotest. Click here for the full report and a bit of gossip! You can now search within the site using the Google bar below. Also I'm pleased to report that Google has now found the new domain name. I have done a lot of work on the underlying structure of the site and all the links should now work (I hope!) although there is still a lot of stuff to go on the archive. Lots of changes happening at the MCC. Check out MCC News of the Week. 14 June 2003 - All change on Web Addresses! Not to be left out there is a new MCC address - so make sure you have got all these in your favourites - www.themotorcyclingclub.org.uk www.actc.org.uk & www.classictrials.co.uk Some pictures and Video from last nights local Mountain Bike Race at Chicksands. I plan to ride in the next one! 12 June - There is a new address for the ACTC site. Goto www.actc.org.uk to check it out. I will update the link on this page to the new address as the old one will disappear sometime in the summer. 9 June 2003 - Falcon's Midsummer madness Autotest takes place near Biggleswade on 22nd June. You can download the regs here. and Click here for a map of how to find the venue. 8 June 2003 - Michael's June Musings added. Check out the latest ACTC Championship positions after the Lands End over on The ACTC Site Done on a lot of work to restore the Internal Links but it's far from finished yet. If like you love (sic!) Tony Blair and his crony's then don't Click Here to hear the Radio 4 Today programs re-write of George Orwell's Animal farm. (This will be a Real Player Audio Download). 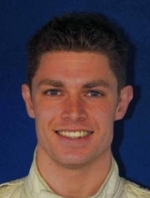 1 June - Neil Bray makes his Circuit Racing d�but and wins his class. Click here for the storey. 29 May - Click here to visit an interesting site about the history of the London Underground map. 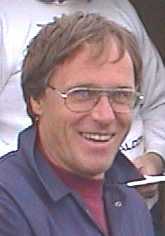 28 May - Arnold Lane won Falcon's Autotest opener. 27 May - The main Classical Gas Site has been moved here www.classictrials.co.uk its going to be a mess for a while, in particular it will take time to get all the links to work. The old site is still there at http://ourworld.compuserve.com/homepages/MLeete and you can still access the old stuff there. I have added my May Musings, including why I have moved! 11 May - Verdun Webleys Lands End added, plus a picture to Patrick Osbourns report. Quite a few additions and tidying to the Links. 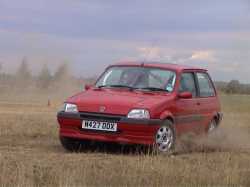 3 May 2003 - Falcons Summer Autotest Series starts on 18th May. The events are run in a very relaxed way in the meadow behind Neil Bray's House. 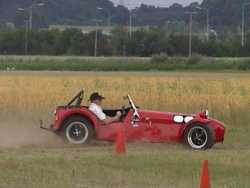 It's very smooth and generally the tests are all forwards (no reversing). You can Download the regs, get a map of how to find the venue or read the report of the last event. Entry Fee is �6. It's a closed to club event but membership of Falcon is only �10 - for which you will get a beautifully printed copy of Classical Gas every month! 2 May 2003 - May Classical Gas on PDF added (Click Here for information on how to read PDF Files) Send a text message to a Mobile Phone - direct from your computer - For Free! 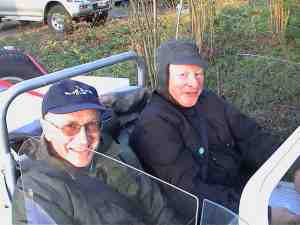 Link added to J. L. Classics Site, all about Jonathan Laver's restoration business and his Trialing. A summary of the Lands End Results can be found here on the MCC Site and some notes by Roger Ugalde here. 29 April - April Musings added - late again! Rough Guide updated with notes about The Taw and Torridge on 14 September and some other dates added. 21 April 2003 - Brian Sussex reports on his Lands End Trial Check out The Classical Gas Web Community for more pictures and other stuff on the Lands End. 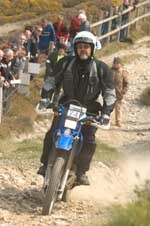 30 March 2003 - Tony Young and Ray Gerring were the car and bike winners of the Northern Trial on 24th March. Tony and Ray were the only clean sheets. Click here for full results in PDF. You will need Adobe Acrobat Reader. 28 March 2003 - April Classical Gas on PDF added. Click here for past issues of Classical Gas on PDF. Michael's March Musings added with some notes of why things have been a bit slow here recently. 13 February 2003 - That's Ian Davis climbing Merves Sweve in a GIF animation on the left. Click here for Costswold Clouds Video and Sound. Updated The Rough Guide with details of the Presidents Trial on 30th March and added a Regs Download Page on which I will post regs for any trial or autotest that organisers would like on Classical Gas. A word about Falcon's Murray's March Hare. There's a Class 0 for " Cars not normally entered in Trials, and those driven by drivers wishing a taste of classic reliability trials". This sounds a really good way of having your first taste of a Classic Trial. 8 February 2003 - Cotswold Clouds report completed (moving pictures to come!) and some more tidying work done to the home page. 7 February - Check out Andrew Brown's trials e-magazine "Wheelspin". The first issue features a fascinating analysis of the relative performance of different classes in MCC trials. Cotswold Clouds report started. Tidy up of this home page started. 26 January 2003 - Clee Hill Trials Report updated. February's Snail Mail version of Classical Gas is available on PDF here. You will need Acrobat Reader to open it. 21 January 2003 - Click here for the results of The Clee Hills Trial You will need Adobe Acrobat Reader. If you don't have it you can download it for free from here. 16 January 2003 - Falcon Page updated with details about Falcons Trials Test Day and Gymkhana at Edlesborough on 26th January. Check out this link to Tim Pestridge's report on The Exeter Trial. Michael's Musings for January added. 3rd January 2003 - The Paris-Dakar has started. Check out their official site and at Eurosport or this other Eurosport site. Falcon's March Hare Trial is on 9th March. It has it's own site. The January edition of Classical Gas is ready to download in PDF here.